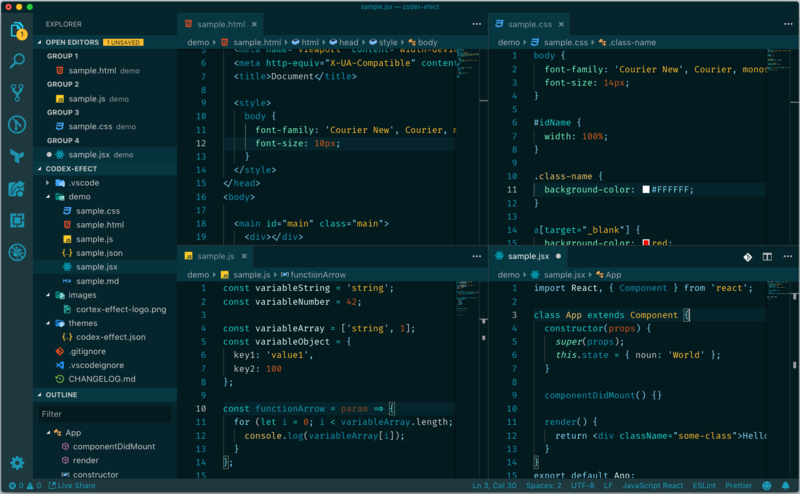 Visual Studio Code>Themes>Codex EffectNew to Visual Studio Code? Get it now. This theme is inspired by all the cool futuristic user interfaces in movies and games. The main inspiration comes from Tron, Iron Man and Mass Effect.